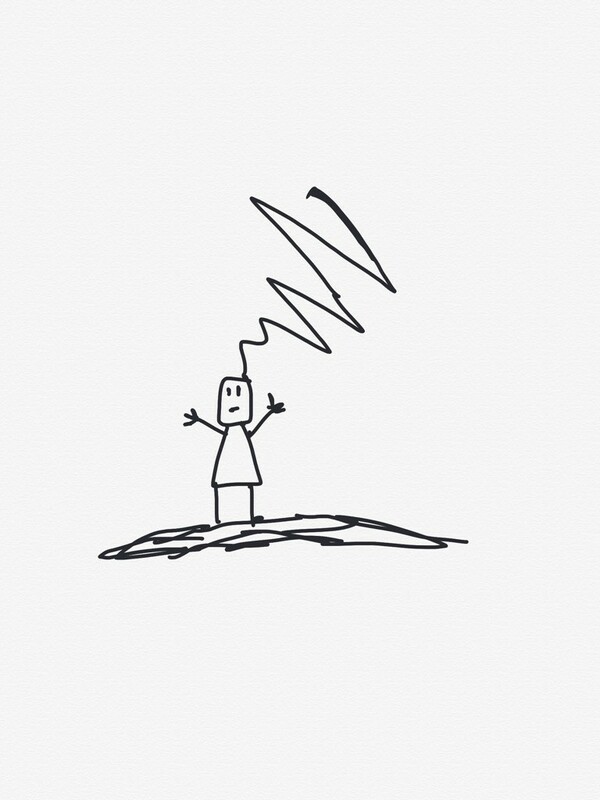 A haiku reflecting my drawing skill. 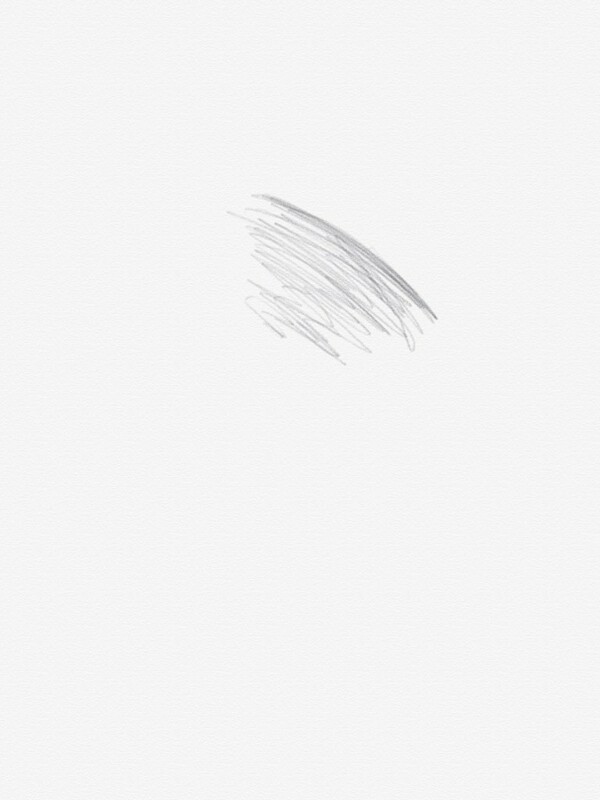 A quick doodle made in Sketchable. It’s hard to screw up an eye, but I still tried! 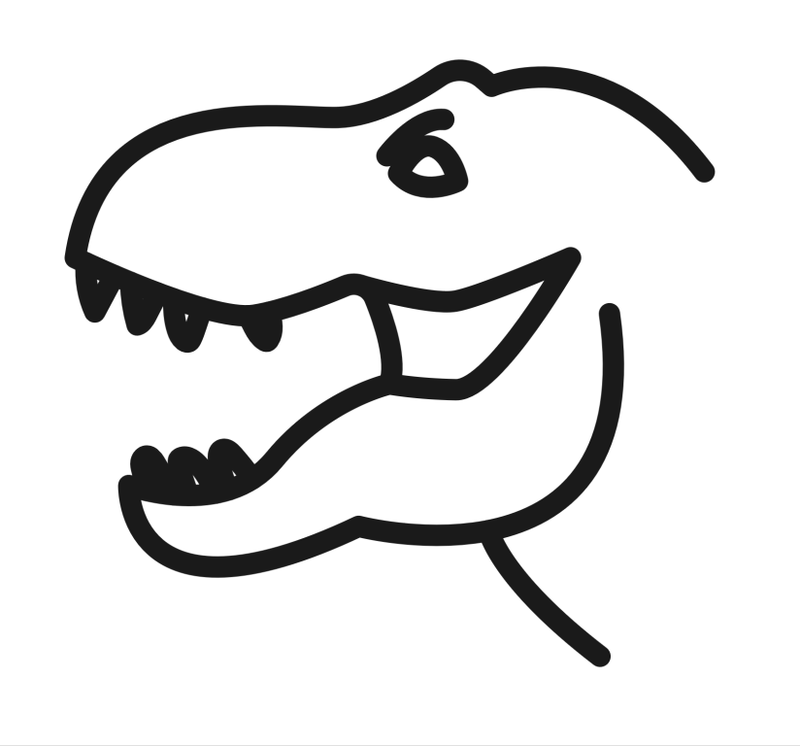 This crudely drawn T-rex was done in almost a single continuous line due to how the Autodraw site works. As far as I can tell there is no erase function, though there is a generous undo ability. 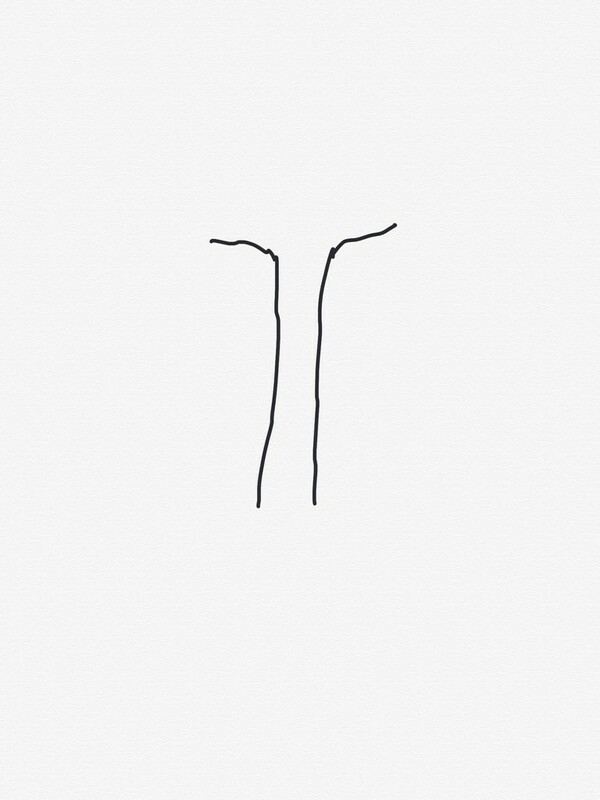 But I don’t have the patience to keep doing and undoing so here’s my stick man dinosaur. 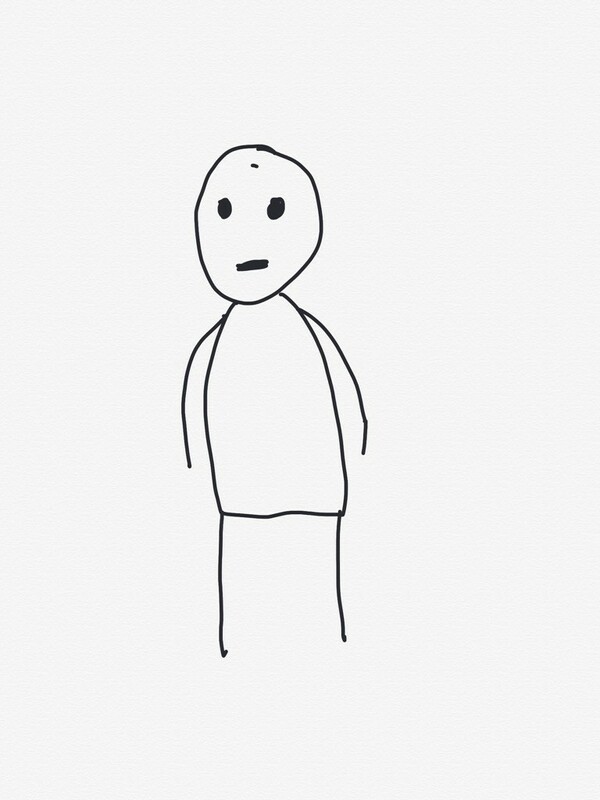 Autodraw threw out a ton of completely random guesses so it wasn’t too terribly impressed by my artistic ability. As I mentioned in the previous post, I was never great at drawing or painting and I’m okay with that. 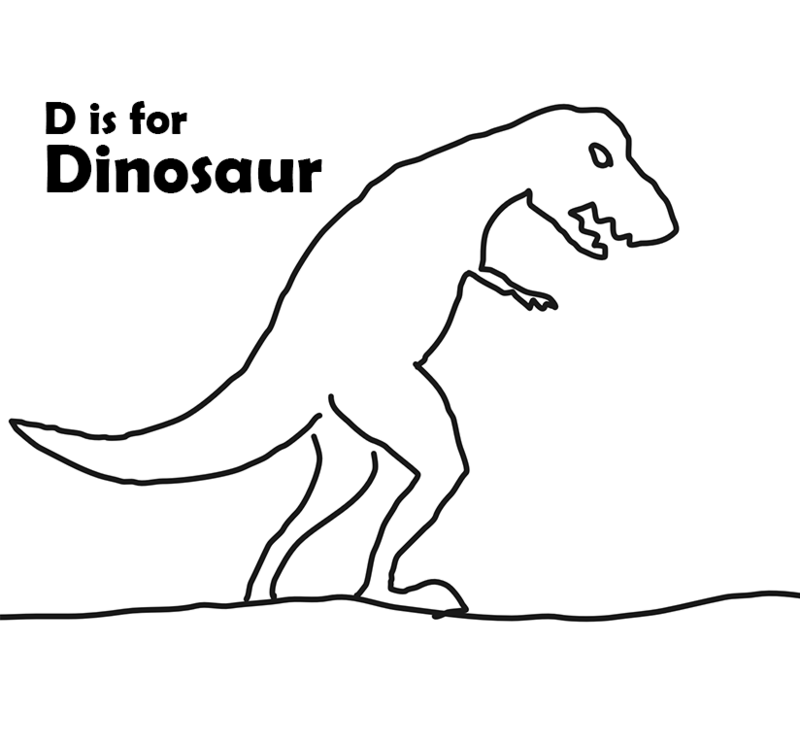 It did include a T-rex head as one of its guesses, though. I’ve included it below my masterpiece. Yes, I realize I am way behind on these. I’ll catch up somehow! Photoshop was used to crop and resize the image and to add the text. 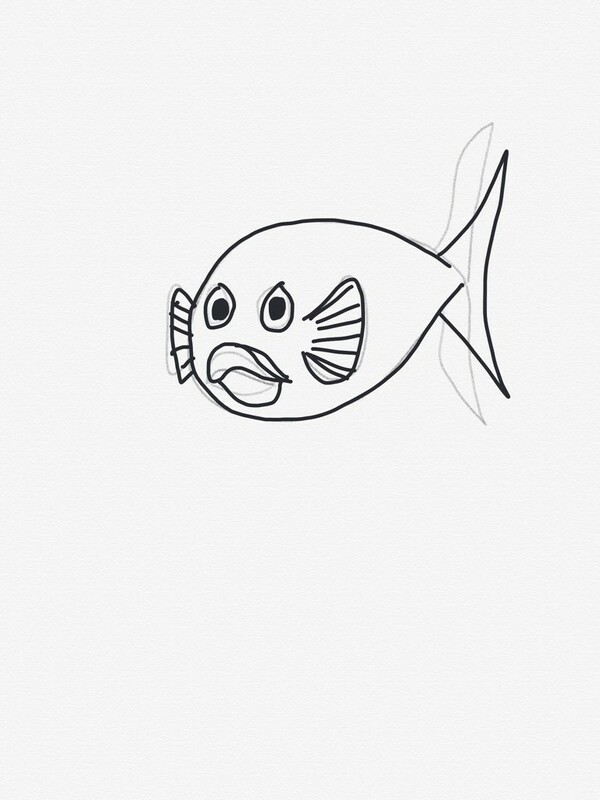 I bumbled my way through Sketchable, learning a few more things. 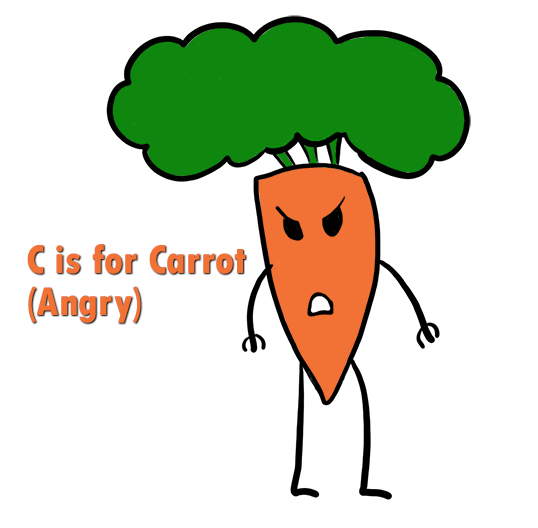 The following is a very crude depiction of Angry Carrot, with no shading at all. 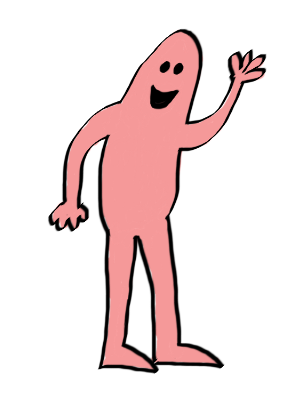 Think of him as an untextured polygon from a late 1980sPC game. I’ll try to revisit this one later if I make it through all 26. 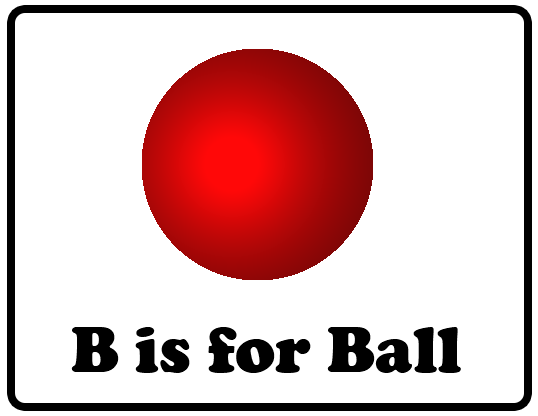 I actually struggled with this one, even though there are a billion things that start with the letter B. Cheat used: created ball using ellipse tool. 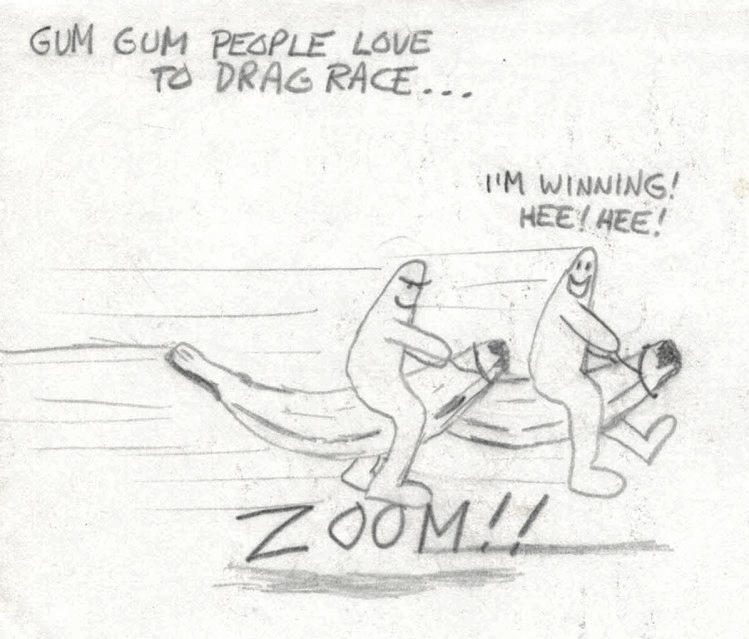 Freehand drawing is for losers. 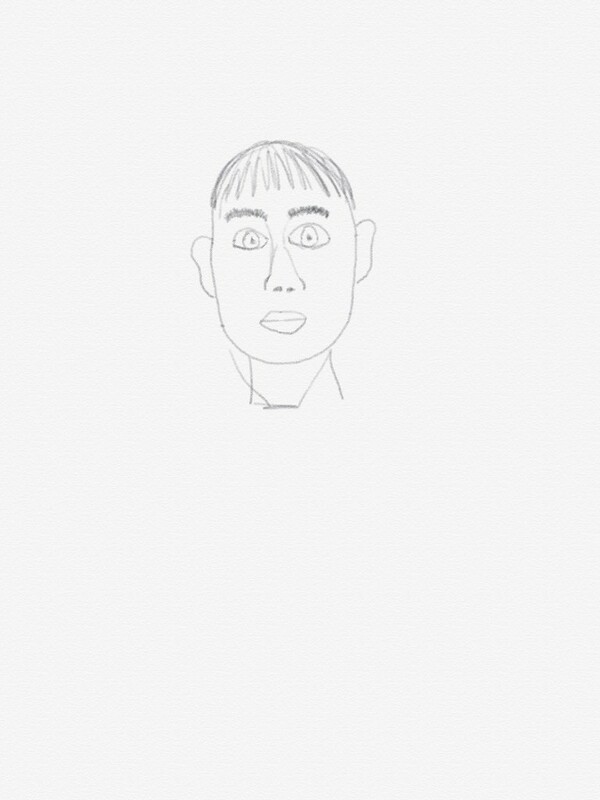 In other words, I used about the least amount of my own minimal artistic talent as possible. I’m okay with that because I dig the totally retro border and Cooper Black font. Also, you can see the pixels on the ball because I was too lazy to figure out how to apply antialiasing. That makes it more retro. 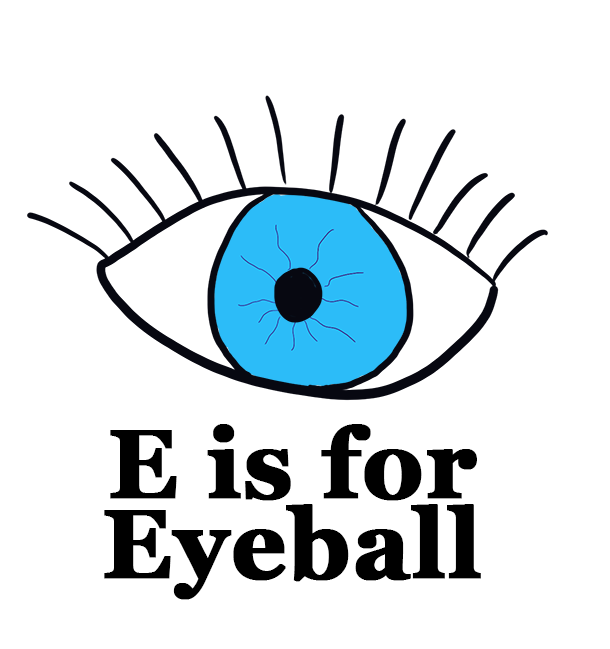 I am going to do the old shtick of going through the alphabet and draw something each day that starts with the appropriate letter. 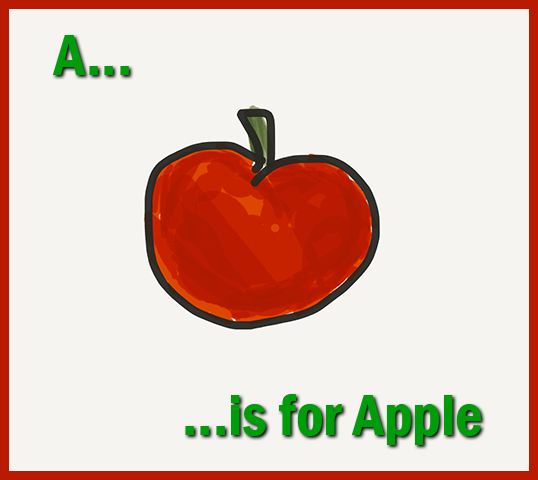 Today, A is for Apple. 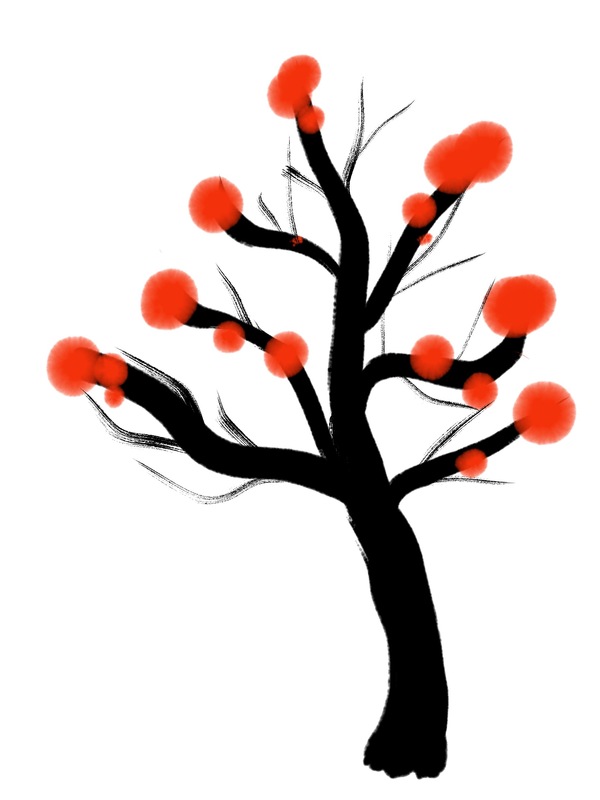 The combination of an inadequate tool (my finger) with inadequate drawing skill (my brain) has produced something vaguely reminiscent of an apple. It could also be a tomato. Possibly a short-stemmed cherry. Maybe an apple. Edit: I went back and edited the image using Adobe Photoshop CC 2015.5, adding a snazzy (?) red border and explanatory text.